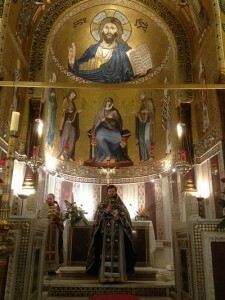 On April 21, with the blessing of Bishop Nestor of Korsun, the Secretary of Administration of the Moscow Patriarchate’s Parishes in Italy Hieromonk Anthony (Sevriuk) during his visit to Palermo served Divine Liturgy of St. Basil the Great in the World-famous Palatine Chapel, the historical house Church of Sicilian kings whose mosaics in the Byzantine style are a monument of 12th century art. According to local historians, this was the first time in 800 years when the Liturgy was served by Orthodox clergy. The rector of the Orthodox parish in Catania Priest Apollinary Simonovic and Hieromonk Paul (Sherbachev) from the Moscow Sretensky Monastery concelebrated with Father Anthony. The consul general of the Russian Federation to Palermo V.L. 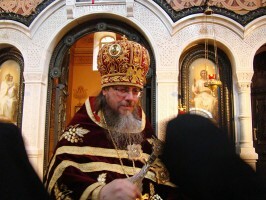 Korotkov, the consulate’s workers and members of the local Orthodox community prayed at the Liturgy. Addressing the worshippers in his sermon, Father Anthony congratulated Orthodox believers of Palermo with a joyful event—on the previous day during a press conference the city’s mayor L. Orlando announced the transfer in June this year of a church building for needs of Russian Orthodox Church. Thus, after completion of necessary formalities, a fully-fledged parish will be established in the capital of Sicily. 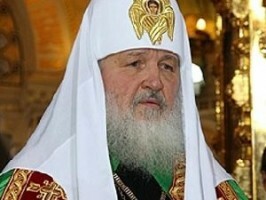 Hieromonk Anthony particularly noted a personal contribution of V. Korotkov to that event and conveyed him gratitude from Bishop Nestor of Korsun.